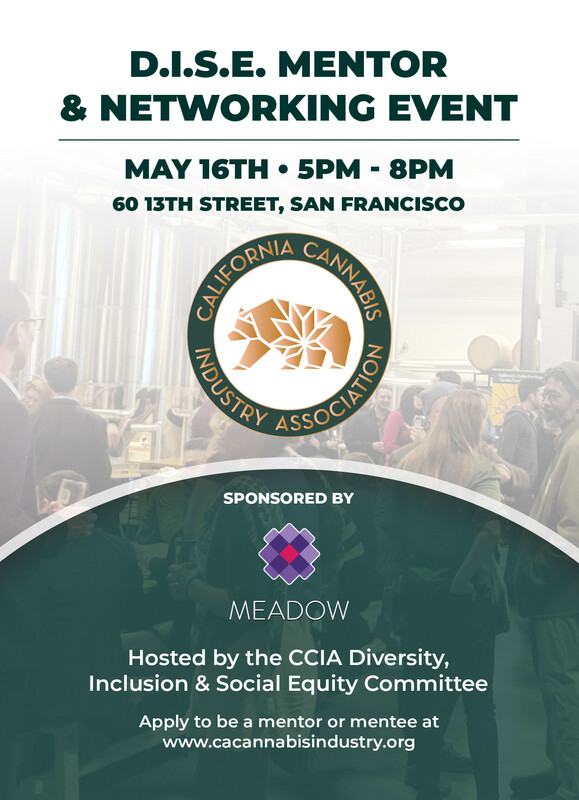 Join CCIA's Diversity, Inclusion & Social Equity (DISE) Committee for a Mentor/Mentee & Networking Event at Meadow in San Francisco. The event will include a legislative update, Mentor/Mentee "Speed-Mentoring" and a networking portion. Interested in Sponsorship? Contact Justin McCarthy, Membership Director, justin@cacannabisindustry.org or view Sponsorship Deck. A portion of the proceeds raised at the event will go towards an Equity Membership Scholarship(s) with CCIA! © 2018 California Cannabis Industry Association (CCIA). All Rights Reserved.